Since the last fifteenth century, Genoese patrons and artists had been drawn to Netherlandish painting. In the early seventeenth century, this interest led to Rubens and Anthony van Dyck’s important activity in the city and to an avid taste for pictures of northern genres. Responding to this taste, Scorza specialized in rendering animals. 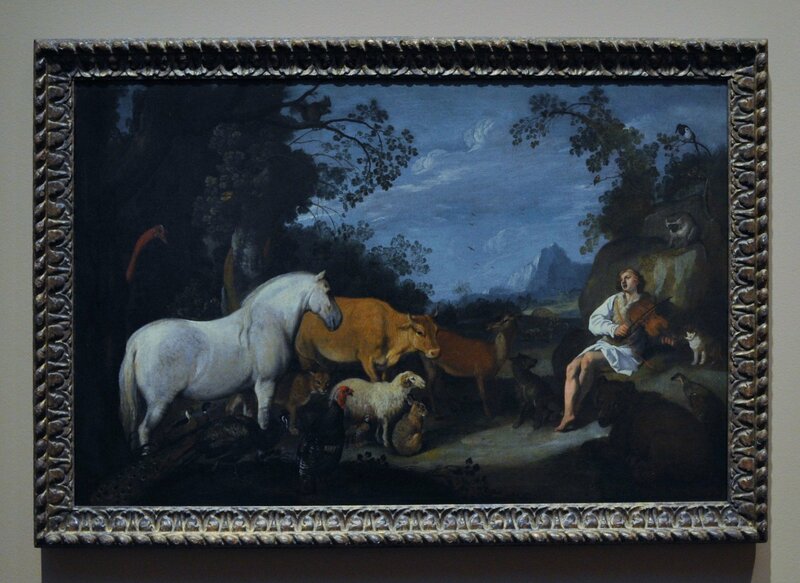 With the added appeal of classical myth – ancient writers describe the ability of Orpheus to charm trees, beasts, and even stones with his song – this was his most popular subject.